Why Cheap Gas Might Not Be Good For The U.S. Economy A drop in global oil prices saved U.S. drivers $100 billion last year. Good news, right? Not so, say some economists. The energy industry is now so big that cheap oil may actually hurt the economy. Consumers have been benefiting from lower gas prices. 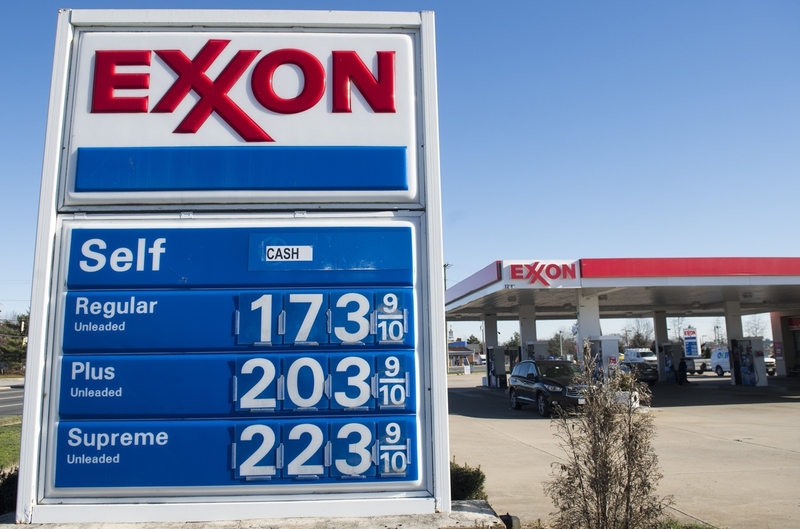 Here, prices dip below $2 per gallon at an Exxon station in Woodbridge, Va., on Jan. 5. Happy times are here again at the gas pump. The price of oil keeps falling, and Americans are filling their tanks for less than $2 a gallon. The government says cheaper gasoline put an extra $100 billion into drivers' wallets last year alone. That seems like it would be good for the economy. Turns out, it might not be. "Is it possible that lower oil prices could actually hurt the U.S. economy?" asks Vipin Arora, an economist with the U.S. Energy Information Administration. "I think the answer could be yes." Arora's findings are based on his own research, so this isn't the government's official word on the matter. But his research suggests that cheap gas might be bad for America. Of course drivers like cheap gas. But people "sitting on the oil rig in Texas" don't like cheap gas — nor do the truck drivers and businesses supplying the oilfields and hotels and restaurants that have set up shop to serve oil workers. 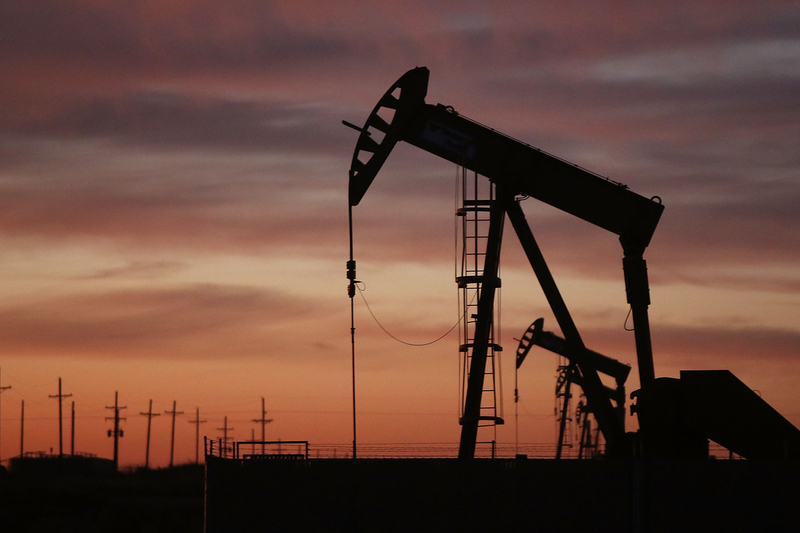 An oil pumpjack works at dawn Jan. 20 in the oil town of Andrews, Texas. Arora analyzed government data, and found that what's changed is that the oil and gas industry as a share of GDP has about doubled in the past decade. Now it has grown so large that it's changed the basic equation of whether cheap gas is a good thing overall. "The benefits to consumers could be around $140 billion from gasoline savings," Arora says. "But the losses on the other side due to lower production, less investment, less build-out of infrastructure could be around that amount. So we're kind of at a wash."
This might help to explain why the economy still isn't exactly charging forward even with the stimulus of cheap energy. But Arora himself notes that the question needs more study. Meanwhile, analysis by the research firm Moody's Analytics finds that cheap oil and gas are still a net positive. And plenty of experts remain in that camp. "The bottom line is the United States economy is much better off with low-price energy than it would be with high-price energy," says Philip Verleger, an economist and consultant who tracks energy markets. The government says the average household saved $700 last year on cheaper gas. But the Commerce Department also says 2015 had the weakest retail sales growth in six years. So why hasn't there been more of a boost from that extra spending money? "I think the mistake everybody makes when they say that there's been no impact from the low price of energy is to fail to understand that the economy would be much worse off right now had we not had this decline in the price of oil," Verleger says. And then there's the question of what caused the drop in oil prices. Jim Bianco, president of Bianco Research in Chicago, evokes an old adage: "The day that the price of oil falls, you might not like the reason." He says a slowdown in China and elsewhere around the world is driving down the price of oil along with other commodities such as copper, aluminum and zinc. So at least part of the reason oil prices have crashed, Bianco says, goes beyond the oil market itself and the boom in production of oil in the U.S. It's part of a larger global slowdown. And some investors are worried that slowdown will hurt the U.S., too. "The fear is it's part of a larger whole," Bianco says. "You cannot look at it in a vacuum." So far, there isn't a lot of evidence that the U.S. is getting dragged down by all the trouble abroad. Job growth remains pretty solid. The economic recovery is continuing. And some analysts think we might see a bigger boost from cheaper energy later this year.